The University of Iowa ranking is 59th in the USA and 118th in the world on the University Review College Ranking List. It is ranked as the 71st best college by the USnews and the 192nd best by Forbes. The University of Iowa tuition fees are $8,079 for in-state and 27,409 for out of state students. It is a moderately selective college taking in 80.2% of applicants. Financial aid offered totals $48 million per year, an average of $11,810 per student. SAT scores for admission requirements (25th-75th percentile) are Math 540 – 685, and Reading 450 – 630. The total composite SAT range accepted applicants is 1160 to 1300. 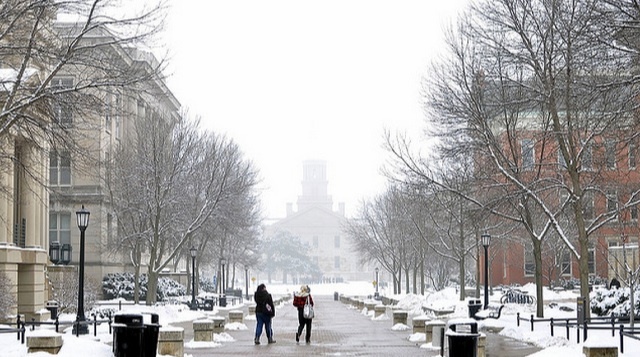 The university of Iowa (UI) is located in Iowa city in the USA. It was established in 1847 as a public university, and is referred to as a public ivy, in that it is a public university thought to offer a high level of education and a collegiate experience similar to the North Eastern USA Ivy league universities such as Harvard and Dartmouth. University of Iowa campus picture by Jim. The University of Iowa, Iowa City, IA offers a broad range of subjects across 11 colleges, the major areas of study are Business; Dentistry; Education; Engineering; Law; Liberal Arts & Sciences; Medicine; Nursing; Public Health; Pharmacy. 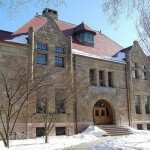 The eleventh college is dedicated to graduate studies. The university of Iowa is especially strong in Creative writing, Printmaking, Paleontology, Social Psychology, Geology, Plasma Physics, and Art and Design. 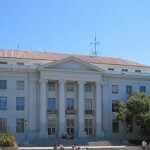 Some of the famous alumni associated with the university include Marilynne Robinson, Tennessee Williams, George Gallup; the actors Tom Arnold and Ashton Kutcher. Being a strong sports college it has produced many American style football stars including Chad Greenway, Dallas Clark and Robert Gallery. As it is one of the Public Ivies, the education offered is similar to found at places like University of Georgia, University of Arizona, Indiana University, and Michigan State. Other colleges in IOWA state include the Iowa State University. University of Iowa; List of Iowa Colleges.